Plan a family getaway to ancient Egypt… in Victoria! Hop a ferry or floatplane this summer and visit Egypt: The Time of Pharaohs, the latest exhibition at the Royal BC Museum. Drawn from the collections of some of the world’s most prestigious museums, the exhibition makes its North American debut in Victoria and will be on view until December 31, 2018. 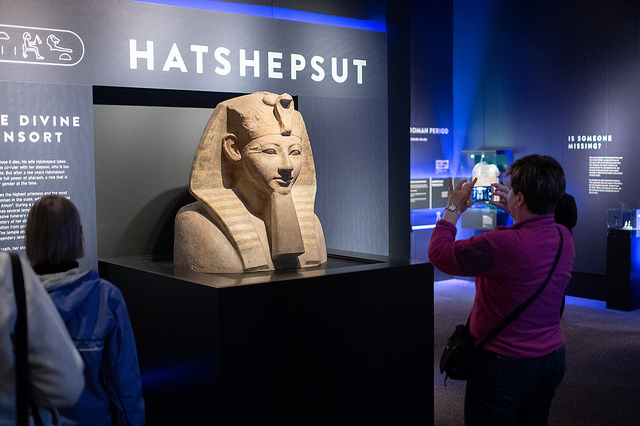 Artifacts have been carefully selected from four key ancient Egyptian collections: the Egyptian Museum in Berlin, Roemer- und Pelizaeus-Museum in Hildesheim, Gustav Lübcke Museum in Hamm and University Museum of Aberdeen. The Royal BC Museum is my #1 spot to visit in Victoria, with its permanent exhibits like the First Peoples Gallery, Natural History Gallery, and the Modern History Gallery among many more. Also check out the Museum Shop, Helmcken House & St. Ann’s Schoolhouse, the National Geographic Store, IMAX, and even a Food Truck Festival! Follow the Royal BC Museum on Facebook, Twitter, Instagram and the tag #RBCMEgypt for more information.